The colorful vines lining the hills of J. Wrigley vineyards combat the dark and rainy gloom that embodies Oregon in October. Perched atop one of the larger hills in the valley, I have a birds-eye view of the surrounding vineyards and forests from the tasting room patio. During the summer the area would buzz with tourists and traffic noise, but today it’s silent. Harvest has come and gone, school is back in session and the rainy fall weather deters most area vinophiles from venturing out for a day of wine tasting. I have this winery (and most subsequent ones) to myself. 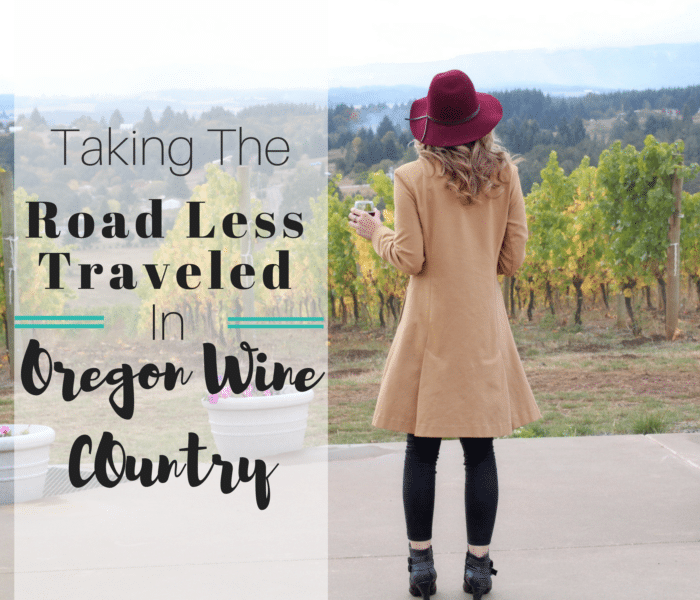 The resulting intimate and authentic tasting encounters are what has come to define Oregon wine country.